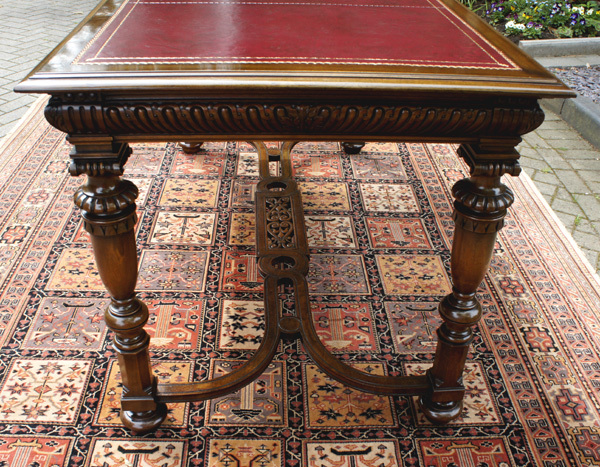 This most attractive French writing table was constructed from solid walnut in the Renaissance Revival style of the late 19th century. 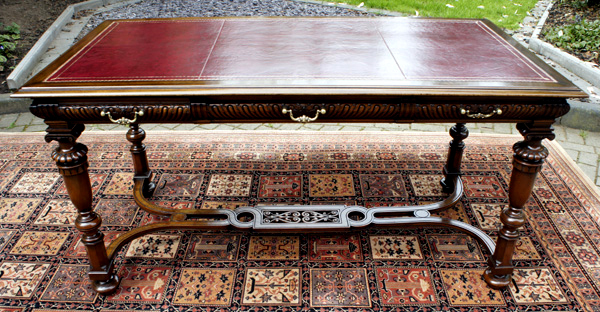 It has recently benefitted from traditional restoration including french polishing, cleaning and wax polishing. 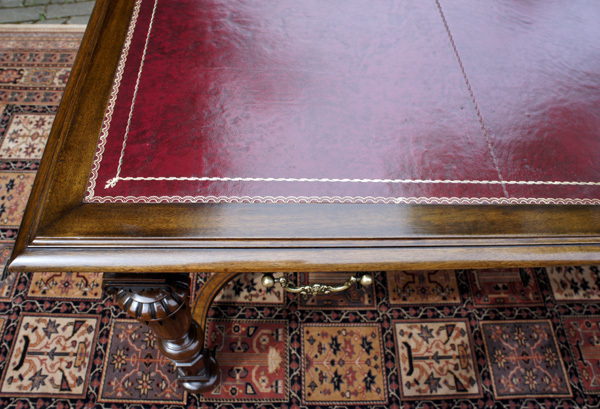 The top has a replacement burgundy leather writing surface with gilt and blind tooling. This is surrounded by a band of walnut with a 'bulls nose' molded edge and square corners. This most attractive French writing table was constructed from solid walnut in the Renaissance Revival style of the late 19th century. It has recently benefitted from traditional restoration including french polishing, cleaning and wax polishing. 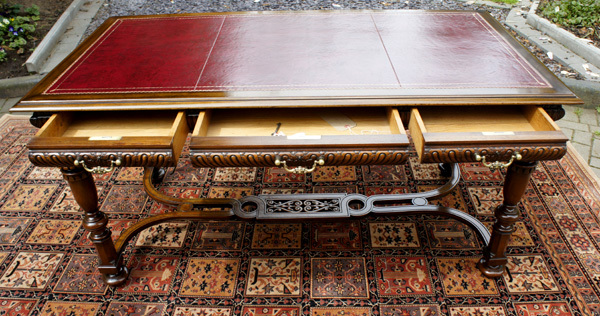 The top has a replacement burgundy leather writing surface with gilt and blind tooling. The convex frieze is fitted with three drawers and had a lovely crisply carved front in the 'gadroon' pattern. The drawers are oak lined and have the original brass locks and original, ornate, cast brass handles. 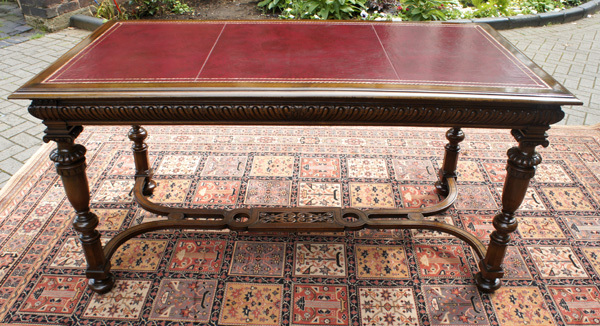 The table stands on four well carved and turned legs with scrolls at the top of each and bun feet. incorporating the 'fluer de lys' symbol associated with France. a lovely focal point for an office or study or as an occasional table.